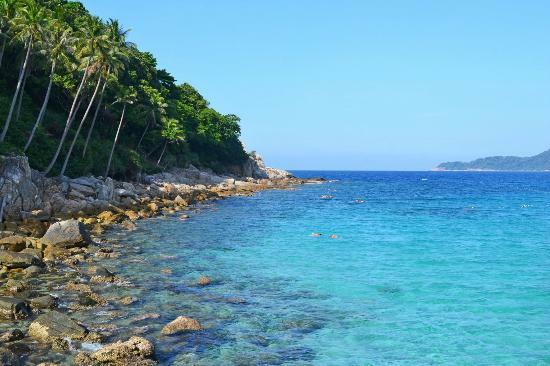 Warm, clear water full of marine life with white sand beaches sits along a dense, green jungle backdrop. 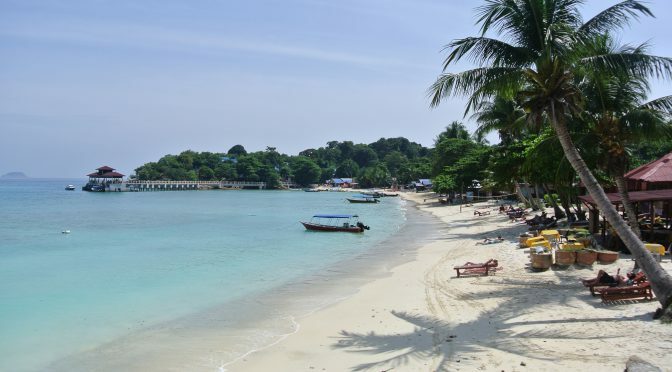 Perhentian Kecil, sits off the northeastern coast of Malaysia and has become one of the most popular islands in Southeast Asia where visitors come for spectacular diving, sunbathing, and relaxation. 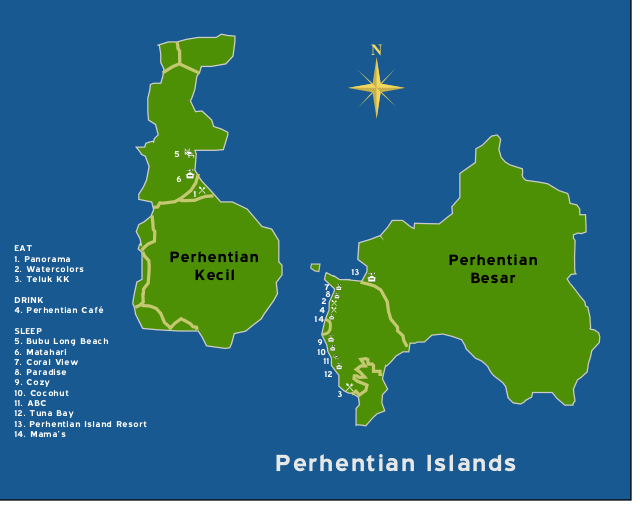 Perhentian Kecil is divided into two beaches, Long Beach and Coral Bay. Long Beach gets the nod on the east side of the island for having nicer beaches and more excitement. Coral Bay is more laid back and an excellent place to sit and take in the landscape. 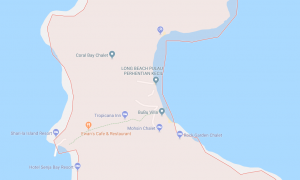 A short walk connects both beaches. Long island is where most tourists decide to stay since it offers a few more accommodations. 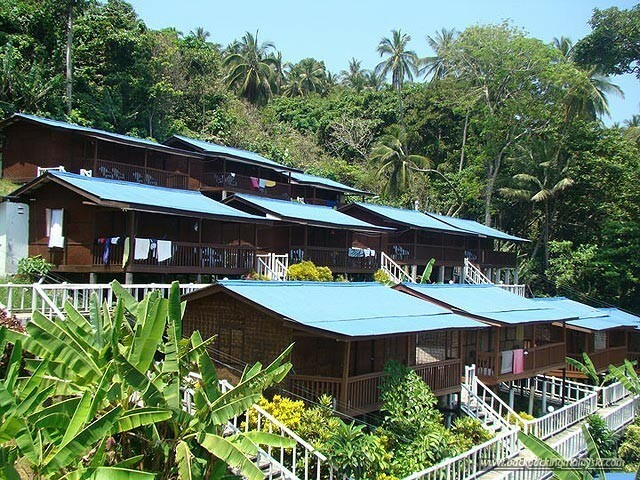 Your choice for shelter range from dilapidated bungalows with highly questionable mattresses to semi-luxury “resorts”. Unfortunately the food can be of poor quality and over priced. Coral Bay tends to have rooms that are a little nicer and is an excellent spot to do some snorkeling. If you’re with your “significant other”, you’re more likely to find a romantic, private part of the beach together. On a side note, there are no ATM’s here so you will be carrying cash, a detail that is not missed by some locals. Make sure you keep an eye on your money. Sea tutles, reef sharks and monkeys are some of the wildlife you might encounter on your visit. If you are coming from outside of Malaysia, most visitors fly into Kuala Lumpur International Airport (KLIA). You then have to make your way to Kuala Besut, a port on Malaysia’s East Coast. 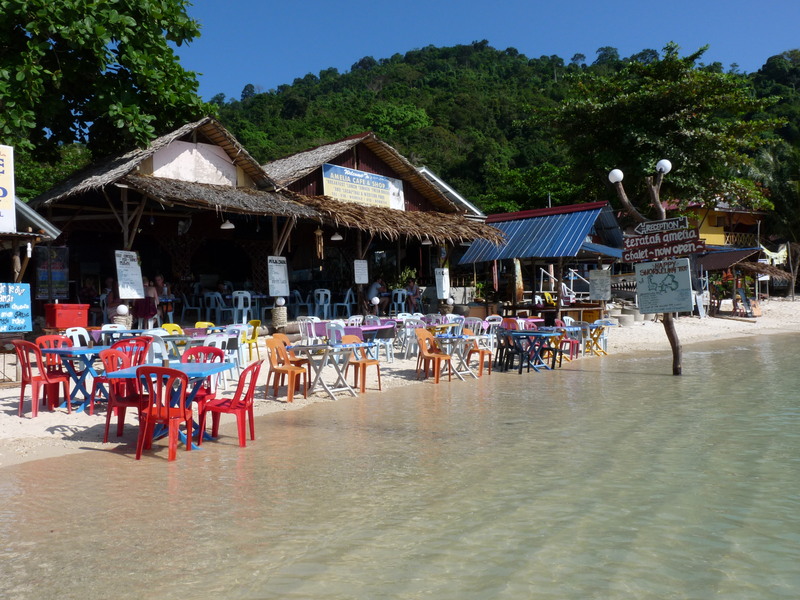 Once at Kuala Besut, you will get on a boat and take a thirty minute ride to the island. 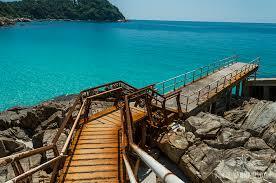 The Perhentian Islands are known for having amazing diving opportunities. Many places offer 4-Day Open Water Certificaiton packages from 950 – 1100 MYR. 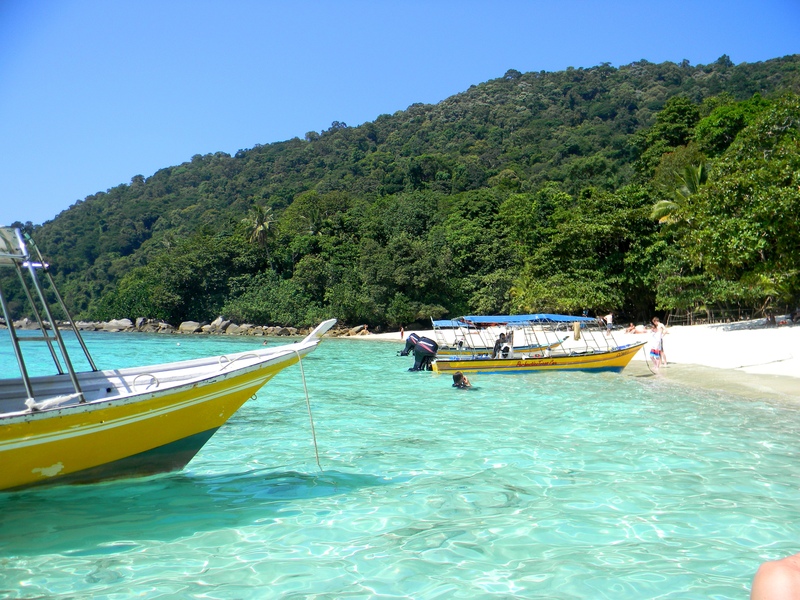 If you’re not certified, the snorkeling is some of the best in Malaysia. Beautiful coral and fish, sharks, and turtles are abundant in the underwater life. Hopefully you can get a look at the blue-spotted rays,clown fish, puffer fish, trigger fish and so much more. Green Sea Turtles visit the Perhentians every year, where they surface on the beaches to make nests and lay their eggs. Hotel guests can even request a wake-up call when the turtle nests hatch. Watch as baby turtles make their way to the ocean under the moonlight.